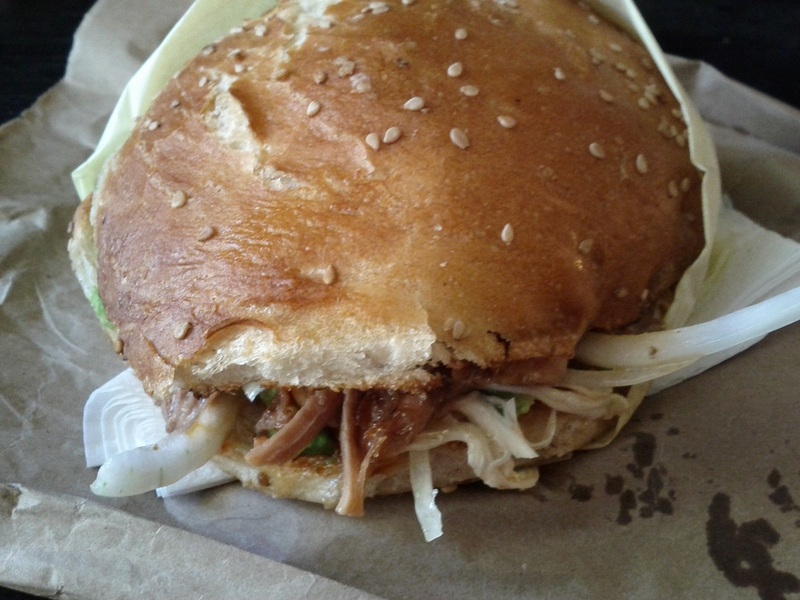 Cousin to the torta, the Cemita is a style of sandwich built around its namesake roll. Where the torta generally comes on a bolillo or telera roll, the cemita is sweet, with an exterior softer than your typical bolillo but tougher than your average telera. It has some chew to it, some body. The sandwich itself is fairly straightforward: avocado, onions, meat, a mild cheese, and a chipotle adobo that makes its characteristic smoke one of the more prominent notes in the sandwich. This one comes from a lunch truck that’s always parked on Pico just east of Sepulveda, but I’ve seen trucks scattered around the city with the same name. I don’t know how much there is to be said. As a style of sandwich, it’s as tried-and-true as any classic archetype, it’s well balanced, and provided it’s assembled with fresh avocados and quality ingredients, you’re pretty much guaranteed to finish with a delicious sandwich. It’s not as widely available as the torta, but a delicious sandwich with the added zest of scarcity? Hunt one down some time, you won’t regret it. This entry was posted in Sandwich Reviews and tagged Los Angeles, Pork, Reviews by Pete, Sandwiches I Have Eaten, Sandwiches Made For Me by Pete. Bookmark the permalink.